compose at age 9. James' music genres ranges from Orchestral to Pop music. Currently serving as the principal flautist at Unionville High School, and enrolled in the "ARTS York Music Program", a program specialized in music, visual art, drama, and dance. James has won many awards in flute competitions such as the Yamano Japan Competition, Kiwanis festival, and Canadian Music Competition. His flute teachers includes, Keiji Katsumata, Tan Mizi, Peg Albrecht, and Nora Shulman. He is also the lead composer for Illusionist Entertainment, an RPG designning company. He have composed numerous themes for games such as "Quintessence-the Blighted Venom". Recently, James has accepted a offer to study at Mcgill University for his Bachelor Degree in music performance (Flute). 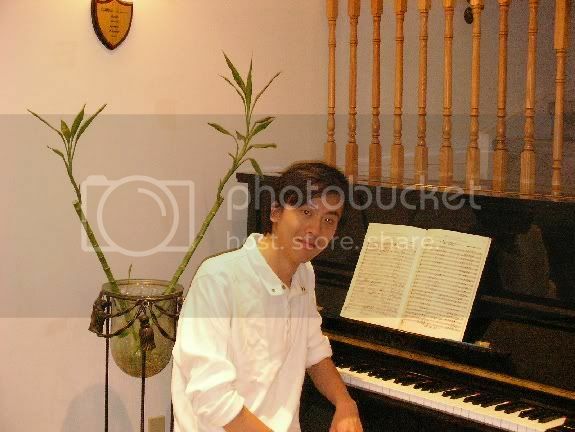 He wish to earn a degree in music composition after completing his undergraduate program in music performance.